Destination Imagination’s programs teach kids how to work in teams during or after school to solve hands-on creative challenges and help children improve their self-confidence and communication skills. Our participants form strong bonds with their teammates and often build friendships that can last a lifetime. As a leader in your school district, your budget is tied to the success of your students in and out of the classroom. The opportunities you give your students impact them on a daily basis and provide them with knowledge and experience that can last a lifetime. You see the unique and talented individual your child is, and want to give him or her every opportunity to grow, learn and prosper. 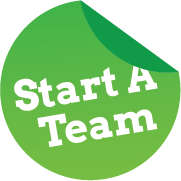 Starting a team is as easy as purchasing our program materials. Start a team and start the journey of a lifetime.